Anyone else ready for fall? My sweet tooth has been craving anything and everything apple and pumpkin. Luckily this week we received our Fall 2018 Special Delivery box from Taste of Home and we were inspired to do some fall baking in the kitchen. I’m like a kid on Christmas morning when I get new kitchen gadgets and cookbooks so I was thrilled to open our new box. 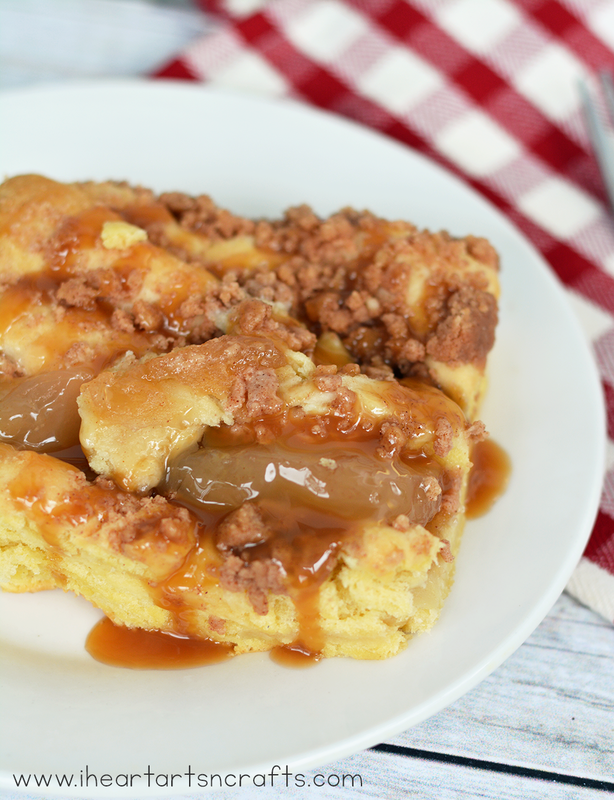 I’m going to give you a peak into all of our goodies we received, as well as our recipe for our Caramel Apple Coffee Cake that was inspired by our bonus Taste of Home recipe cards! 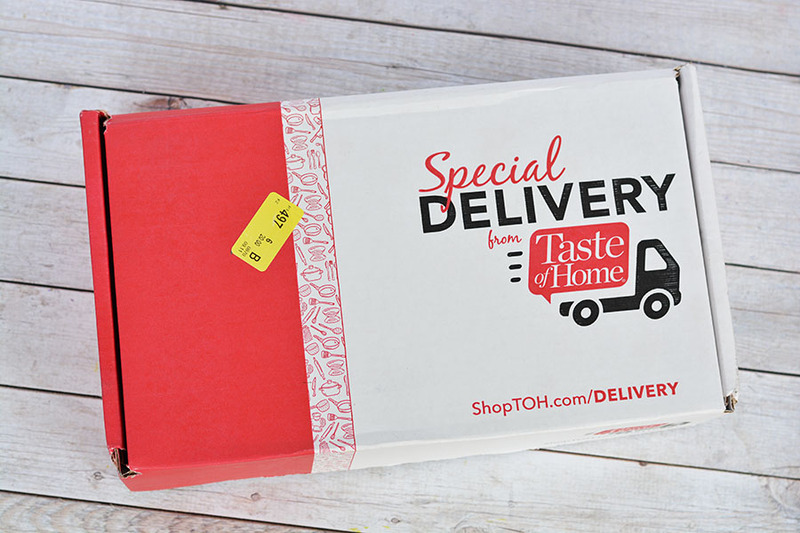 The Taste of Home Special Delivery is a subscription box geared towards cooking, baking, and all things food. You’ll receive a fun surprise of kitchen items, herbs, recipes, spices, and more for every level of cook! Every box also comes with its own Taste of Home cookbook filled with their BEST recipes, as well as bonus recipes cards to give you some ideas on how to use all of your new gifts you’ve received in your box. 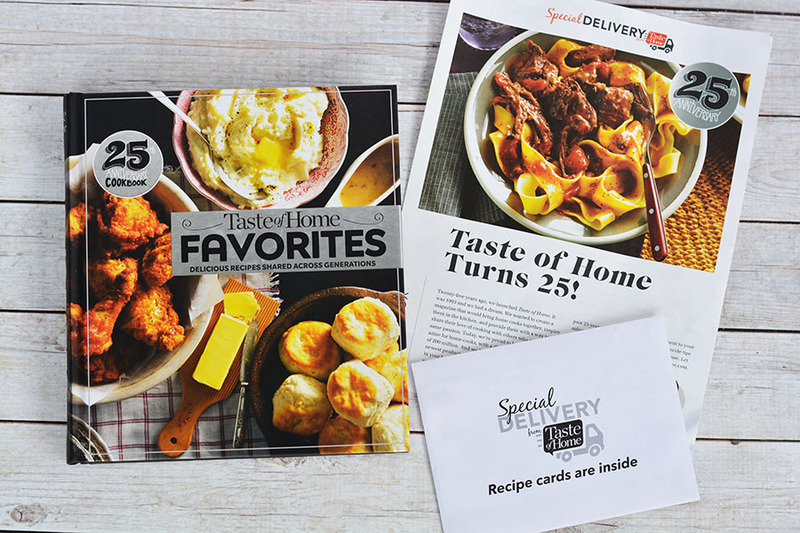 In honor of Taste of Home’s 25th Anniversary, the Fall 2018 Special Delivery box is filled with some of their favorite cooking gadgets and recipes from the last 25 years. Here’s a review of our box and the recipe that was inspired from our included recipe cards. The Skoy Sponge Clothe was the first item we used from our box. This cloth is reusable, washable, and biodegradable. 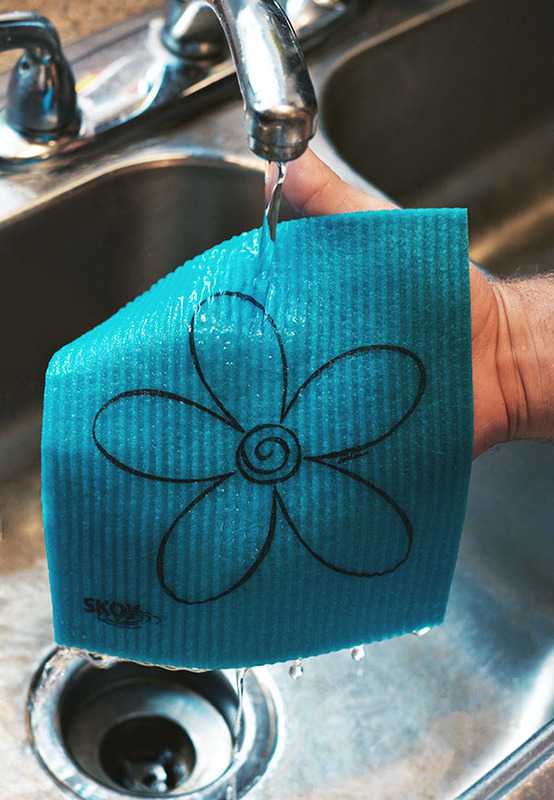 Using just one Skoy Cloth is the equivalent of using 15 rolls of paper towels, that’s so awesome! Another great gadget that was in our box was the microplane zester, a versatile must-have tool for in the kitchen. You can use it to grate citrus, cheeses, and spices. 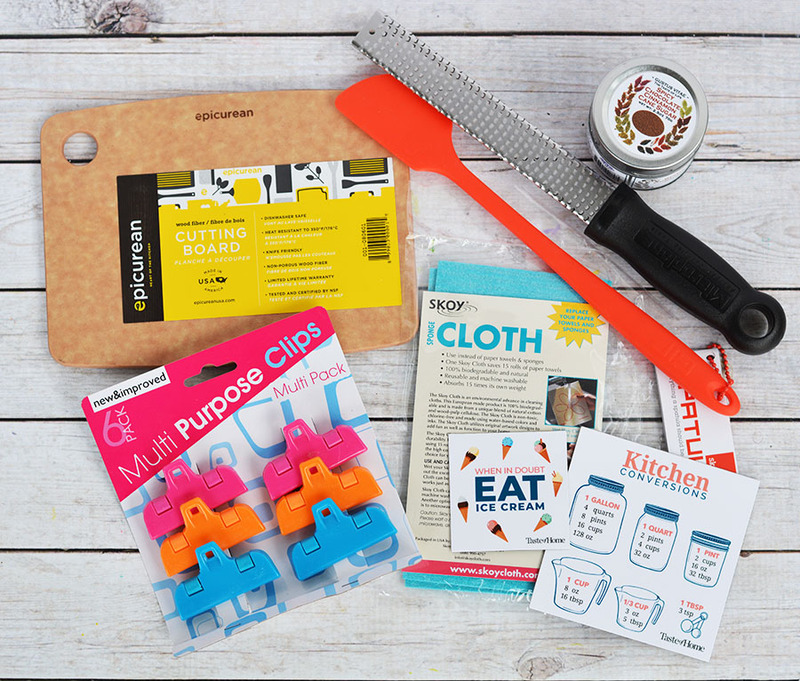 I also learned after reading our newsletter in our Special Delivery box that you can also use the microplane grater with butter to create small shavings that are easier to spread incase you forgot to take a stick of butter out to soften for a recipe. One of my FAVORITE gifts from our box was the Taste of Home 25th Anniversary Cookbook. 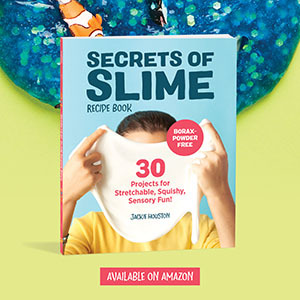 This book is HUGE and filled with their highest-rated dishes and all-time classic recipes with gorgeous, color photos of every recipe. 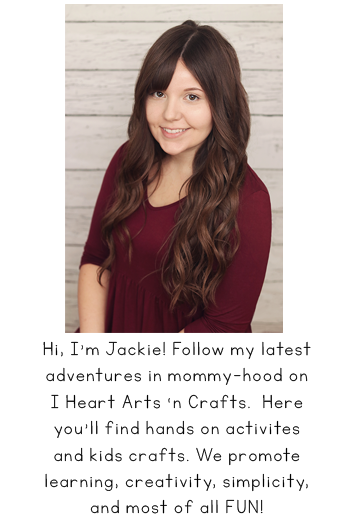 You’ll also receive bonus recipe cards that include exclusive recipes to help you get started using your new gifts. 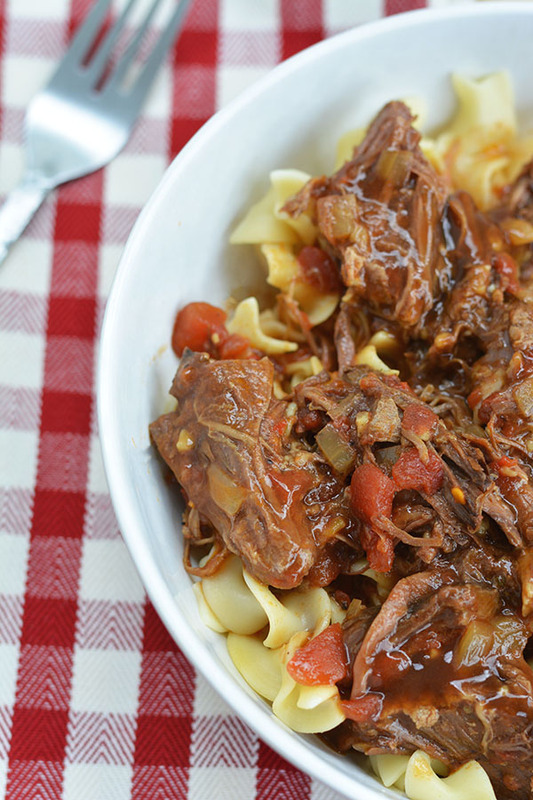 We made two of the recipes and both turned out amazing! The first recipe was the Spice-Braised Pot Roast and the other one was the Glazed Cherry Coffee Cake, but instead of cherry pie filling we used apple pie filling and switched the glaze to caramel for the perfect fall twist. Preheat oven to 350*. 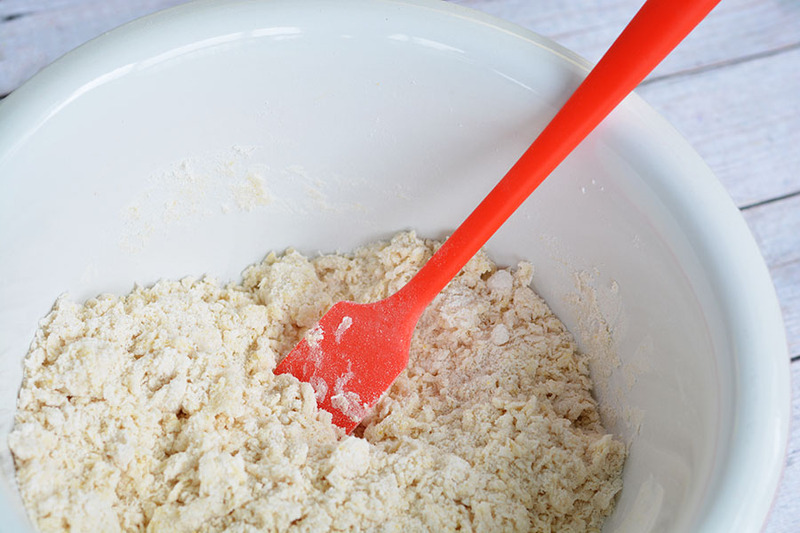 In a large bowl combine 1-1/2 cups cake mix, flour, yeast and water until smooth. Stir in eggs until blended. 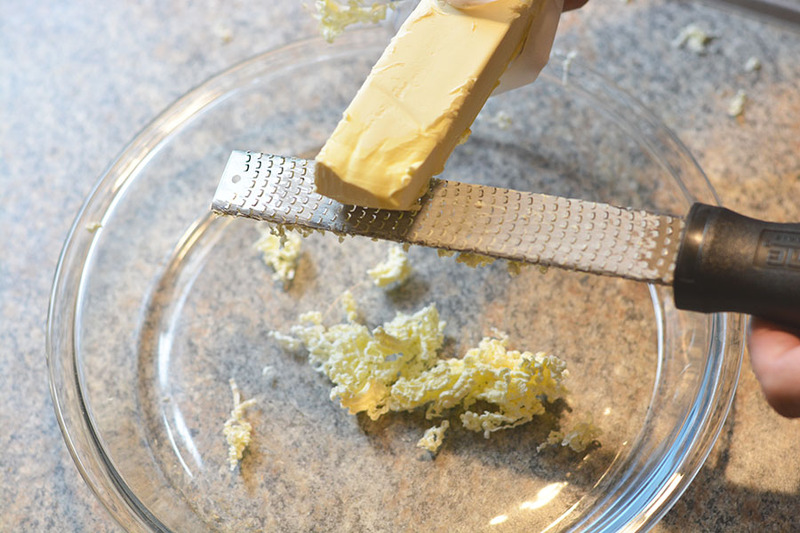 Transfer to a greased 13×9-inch baking dish. Gently spoon pie filling over top. In a small bowl, mix butter remaining cake mix; sprinkle over filling. Make topping by combing all ingredients and sprinkle over the filling. Bake 35-40 minutes or until lightly browned. Cool on a wire rack. 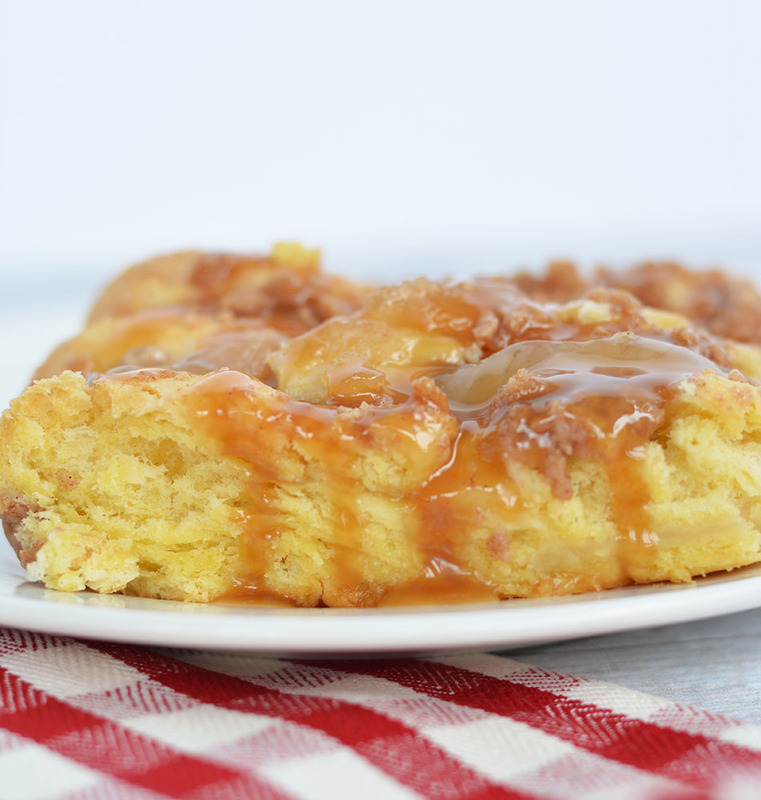 Once your coffee cake has cooled you can top with your caramel syrup just before serving! 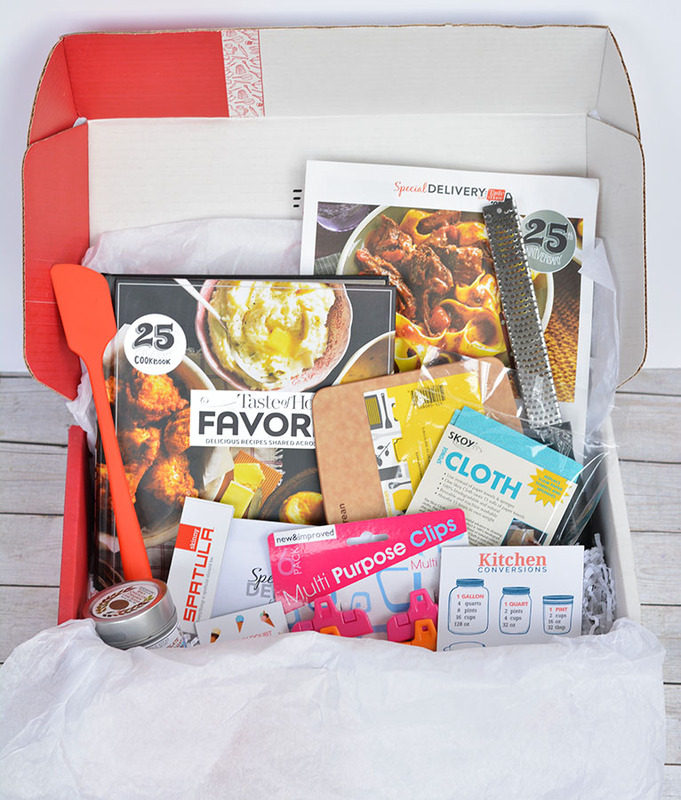 If you like trying new recipes and new kitchen accessories, then you HAVE to try this subscription box. I love the variety of items that we received and how they cater to every level of cook. I absolutely can’t wait to receive my next one! If you’d like to try out this subscription box for yourself, go HERE to get $5 off and free shipping on your first Taste of Home Special Delivery box. When you order a subscription you’ll also receive a 20% promo code off your next purchase at the Taste of Home Store (excludes subscriptions).